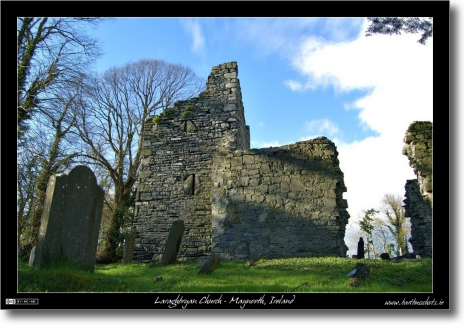 The ruins of Laraghbryan Church are set amidst an old graveyard and next to a modern grave yard. The whole lot is surrounded by high trees so although the church is only a few hundred yards from the road, many people drive by every day without ever realising the wonders hidden behind those trees. Because of the trees though it’s very hard to get a good shot of these ruins so I’ve had to resort to HDR to even have a chance. I’ve taken a lot of shots of these ruins and I’ve settled on this one as my favourite because of the nice shadows being cast across the church. This is an old photograph. I shot it back in 2001 with an old digital camera so it is small, even at full-size it’s only 640×480 pixels. I held off using it as a photo of the week for ages because of that. However, I’ve decided that size isn’t everything, so here it is! 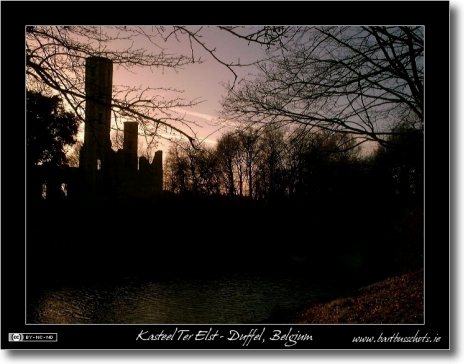 This shot is a silhouette of the ruins of a once beautiful castle in my native town of Duffel in Belgium. It was shot against a lovely winter sunset. The castle itself dates back to the 12th century and was home to the first recorded lords of Duffel. It now sits in a small pond a few hundred meters away from the river Nete but when it was first built it sat on an island in the river. Obviously it’s not the castle that’s moved since but the course of the river! 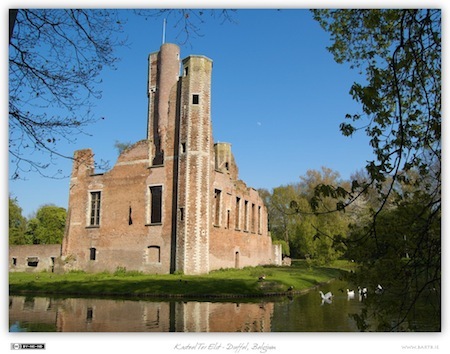 Like so many things in Belgium it was unfortunately destroyed during WWII. 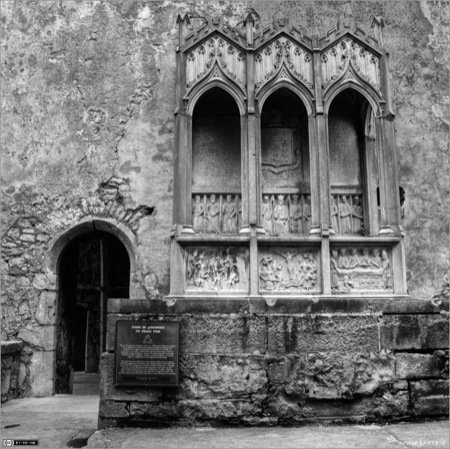 If you’re interested in learning more about the history of the castle check out this page. 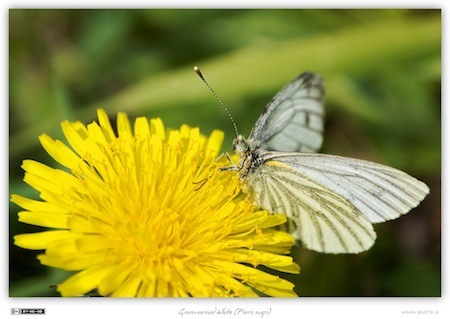 This is a shot I came across by complete accident when having my lunch outside with a friend. I’m not even sure why I had my camera with me but I did. 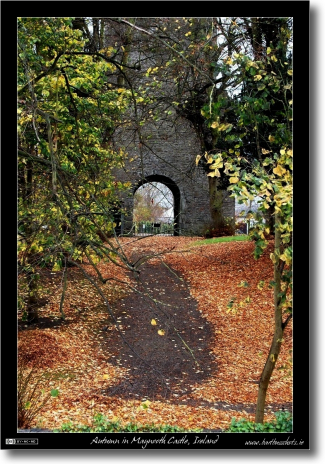 This shot was taken with a zoom lens from the back of The Mill Shopping Centre in Maynooth and looks through the grounds of Maynooth Castle up towards the front gate. 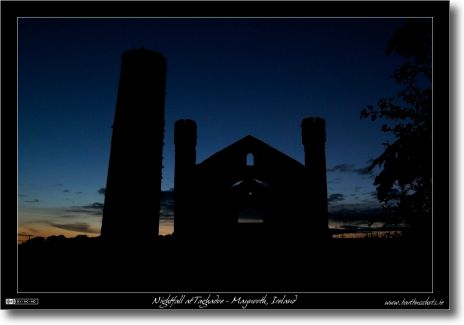 This photo was taken on the evening of the 26th of July 2007 at Taghadoe Round Tower just outside Maynooth. 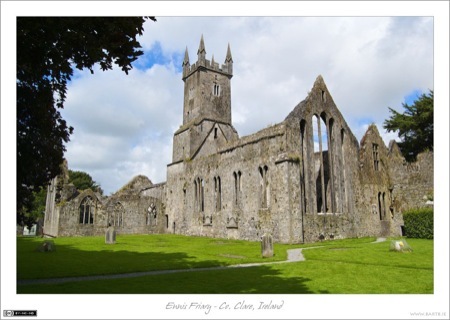 One of the things I really love about living in Ireland is that there is history all around you if you just go out and look. 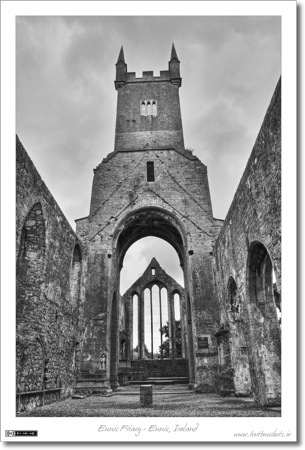 What disappoints me a little is how few people who live in Maynooth realise that this little treasure is hidden just a mile or so from the edge of the village on one of the smaller back-roads.